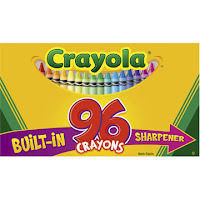 Back in the day, we only had 64 crayons! And we had to walk uphill in the snow! Both ways! (They improved the sharpener, too.) From Staples.